It is important to ensure future data centre deployments support the ever-increasing demands of virtualised, high density and cloud computing environments. Modularity is now at the forefront of contemporary data centre construction UK wide. The ultimate goal is to build a dynamic data centre solution capable of rapid change to meet evolving market demands. Workspace Technology’s Mobile & Modular Data Centre Solutions directly address the requirements of contemporary data centre technology. Our Mobile & Modular Data Centre solutions provide clients with complete flexibility, delivering a scalable approach to data centre planning and design, as well as eliminating the need for traditional ‘bricks and mortar’ buildings. If space or accessibility is a challenge, then this is the perfect solution. Our prefabricated pods can be delivered to site pre-engineered ensuring that there is minimal impact on your business operations. This specialist scalable approach reduces data centre deployment from years and months to weeks, providing pay-as-you-grow infrastructure to match your compute deployment. Typically, a Modular Data Centre solution will reduce capital expenditure by over 40%. By having your data centre on-premise it will enable you to have more control and access to your data as well as increasing latency and flexibility. 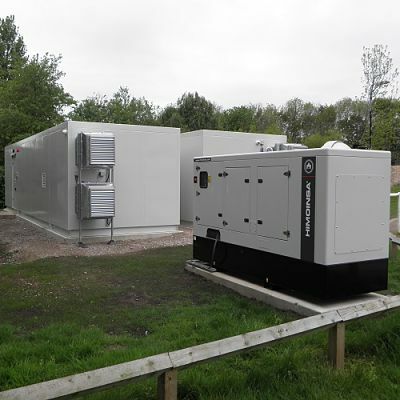 Get in touch and find out more about our Mobile & Modular Data Centre solutions to see how you can have a cost-effective on-premise facility with rapid deployment offered. Alternatively download our Modular & Mobile Data Centre Solutions Brochure.